Let’s see how it happens and how you can remedy this oversight! It is important to address skeletal misuse properly on-and-off the mat, because intending to not overdo on the mat cannot prevent all the overdoing happening on-or-off the mat when skeletal misuse is happening. And by addressing skeletal misuse, I am not talking about holding yourself upright. “Holding” is actually a big part of the problem. It interferes with flow and is neither sustainable, nor necessary thanks to your postural mechanism, which is designed to work for you. As you release all excess tension into your support, your postural reflexes are being triggered to do their job and in response, you can expand from the ground up and out, like a tree. When you do this, you become “Balance”. My recent Survey Monkey for “Yoga Lovers and Injuries “ showed that many yoga lovers still suffer from chronic discomfort in the neck, shoulders, back, as well as knees and wrists, which puts them at risk of getting further injured on the yoga mat or in daily activities. At best, they can modify or avoid some poses. The fact is, once injured, sometimes, yoga lovers cannot do what they love so dearly because of how they used themselves on-and-off the yoga mat before getting injured. Before reading more on skeletal misuse and solutions, check this video that says it so well! As seen on this video, skeletal misuse actually comes from habitual patterns of movements you develop in everyday life such as the way you walk, the way you sit at your computer or the way you carry your backpack on your right shoulder for instance. As shown in my blog about working in the kitchen, it can get quite complex like the way you carry your young child on one hip while squeezing the phone between your shoulder and ear as you are stirring the dish simmering on the stove. These repeated ways of being take their toll on your postural alignment, which gets distorted progressively. At some point, you mistake what is habitual for what is natural. This corrupted postural sense becomes the basis for all your movements’ on-and-off the yoga mat. As a result, the muscles overdo to compensate for a lack of integration in your movements and yoga can enhance the issue instead of fixing it. Here is how this on and off the mat connection plays itself out. Let’s say you catch yourself slouching in a daily situation and you decide to sit up or stand up instead, you may be arching your back in the process and pulling your shoulders back in an effort to feel taller and straighter. However, this being neither natural nor comfortable, you cannot sustain it for very long and most likely, seconds later you find yourself right back where you started. Sounds familiar? As a result, when you are on the yoga mat and a pose requires proper postural alignment, you only know to arch your back to a lesser or bigger degree, yet you experience yourself to be aligned. Although proper alignment is part of good posture, there is more to good posture than proper postural alignment. Unless all excess tension is totally released, holding is happening and good posture is compromised. This is how skeletal misuse can make yoga harder than it is meant to be. Yoga has its challenges but creating unnecessary strain on your muscles and joints is not one of them not to mention it is counter-productive to your yoga practice! 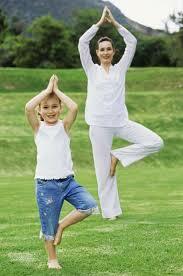 Yoga can help release tension or create more tension depending on the quality of your movements in general. This is why it is so essential to optimize the quality of your movements on and off the yoga mat. Do you see the difference between these two chair pose demonstrations? 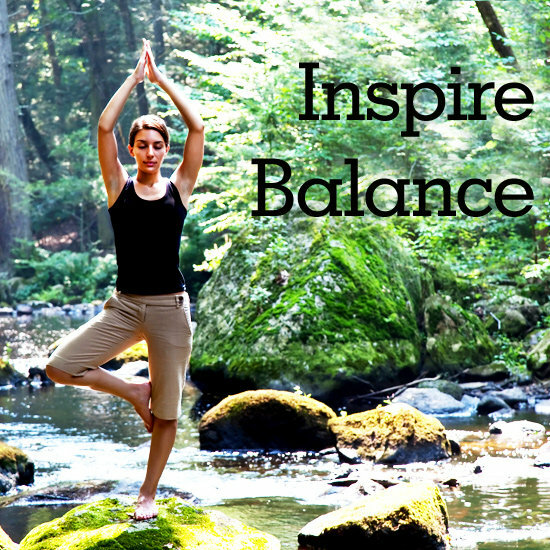 Which one is more balanced because her weight is evenly spread through her feet? Which one is arching her back and overdoing with her legs to compensate for her lack of balance? Using your beginner’s mind, as you picture the pose you have in mind and as you get into the chosen pose allow your muscles to let go of all excess tension into your support and refuse to strain. Allow small changes to happen on their own. Remain flexible as you stay in the pose while embracing your support. You will be guided instantly and every time to your sweet spot, the best way to handle the pose of the moment with no unnecessary tension. If you let it, your body wisdom can micro-manage your skeletal alignment as you release excess tension from muscles and joints. It is a fascinating experience. Observe and learn from your own body wisdom guidance, your very best teacher! Good luck practicing releasing all excess muscular tension while keeping your skeletal height and width. Let the innate wisdom of your body guide you and say good bye to the unnecessary straining in your yoga practice!